Days 3 -7: Berlin, Germany. 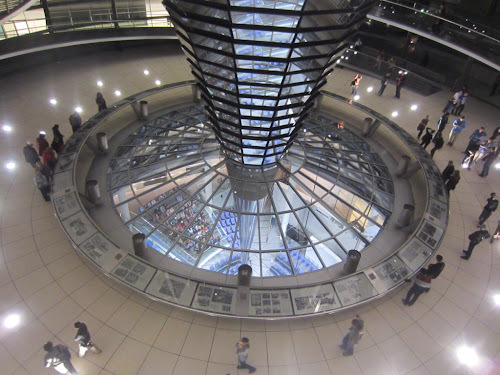 When Angie mentioned that Berlin was on her "want to see" places, she had no trouble convincing me to add it to our trip. Little did she know that I absolutely adore Berlin and would have wanted to add it anyway. After taking our train/ferry from Cpenhagen, we arrived in Berlin Monday afternoon. After finding our hotel, which was just a few hundred feet away from my previous hotel and thus pretty easy to find once I got us to the right train station, we decided to we needed to shake out our legs and go for a run. 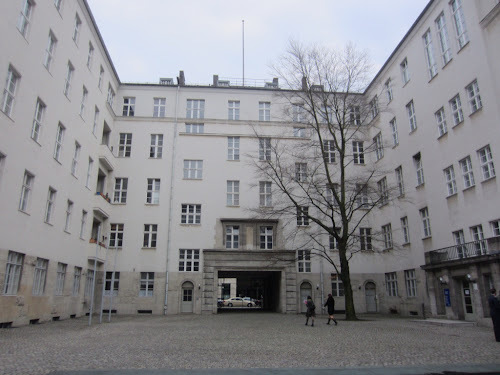 We headed towards the Tiergarten, Germany's green lung, and made stops in front of the Reichstadt and Bradenburg Gate. The run felt surprisingly good, minus the last 2/3 of it. (Note to self: Angie is in awesome shape and thus I will be need to chase her across Europe.) On our way back, we passed a bunch of restaurants with giant pretzels and giant beers... and not surprisingly ended up back at one for dinner. Tuesday was a day full of history, switching back and forth from World War II and the Cold War. 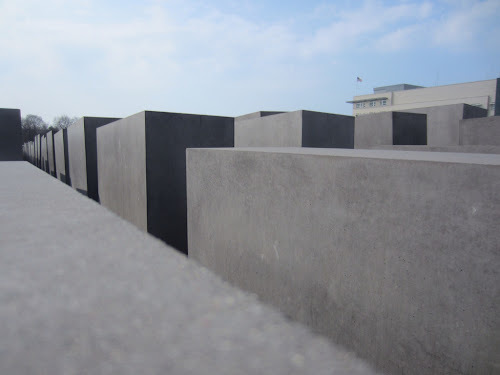 We visited Checkpoint Charlie, the Berlin Wall, the Topography of Terror, the German Resistance Museum, Hitler's Bunker, the Holocaust Memorial, Bradenburg Gate, the Soviet Memorial, and the Reichstadt exterior. 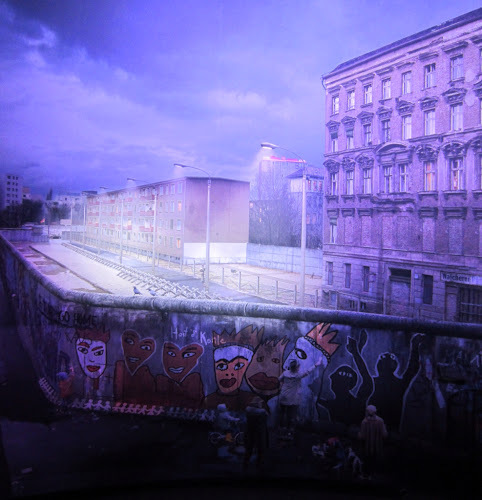 While I had already seen most of this list, a Panorama exhibit of the Berlin Wall was a new highlight because it tied things together for me by putting me in the shoes of someone in West Berlin looking over the wall. The second highlight was the resistance museum, which was something I was especially interested to see after reading "Steel Wave." 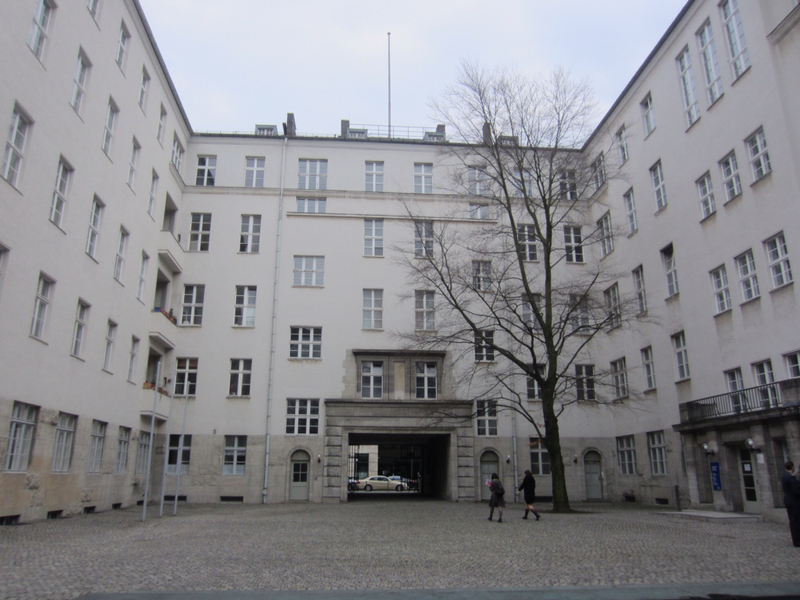 The museum is in the former government building where Hitler often worked, and the courtyard was where those who were part of the infamous Hitler assassination attempt were killed. 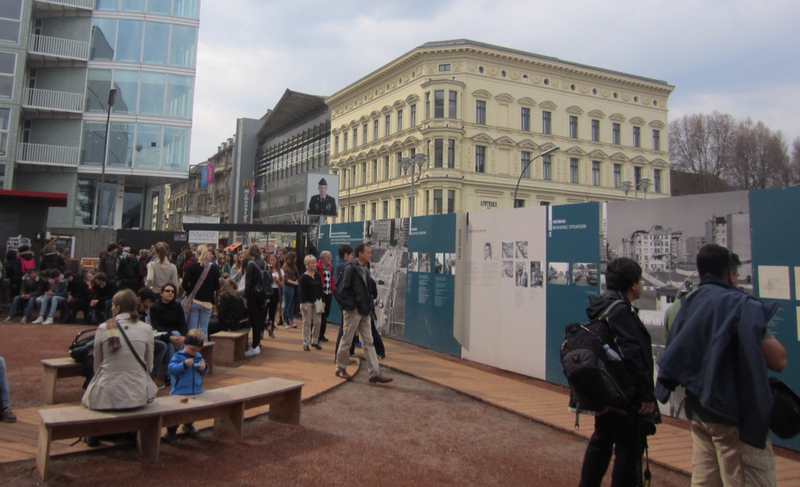 Even though the exhibit was in German, with only a few rooms narrated in English, I was beyond struck at how many people where resisting and fighting against the Third Reich. By Wednesday, we were ready for a mental break and took advantage of our railpass to head to nearby Potsdam. 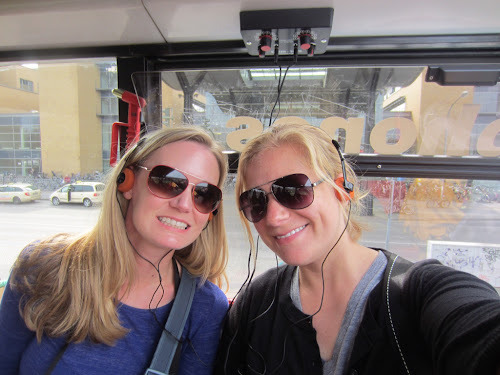 Upon arriving, we hopped on a hop on/hop off tour that took us around the city. We had expected to do a lot of walking, but judging by the city map I was glad we opted for the tour instead because it was much bigger than I expected. The bus was different than any other I have ridden in that we would hop off at a stop and a guide would give us a 15 minute tour, both in German and English, before herding us back and taking us to the next stop. While I am generally opposed to being herded around like this, it made for a very easy and mindless way to see the city. 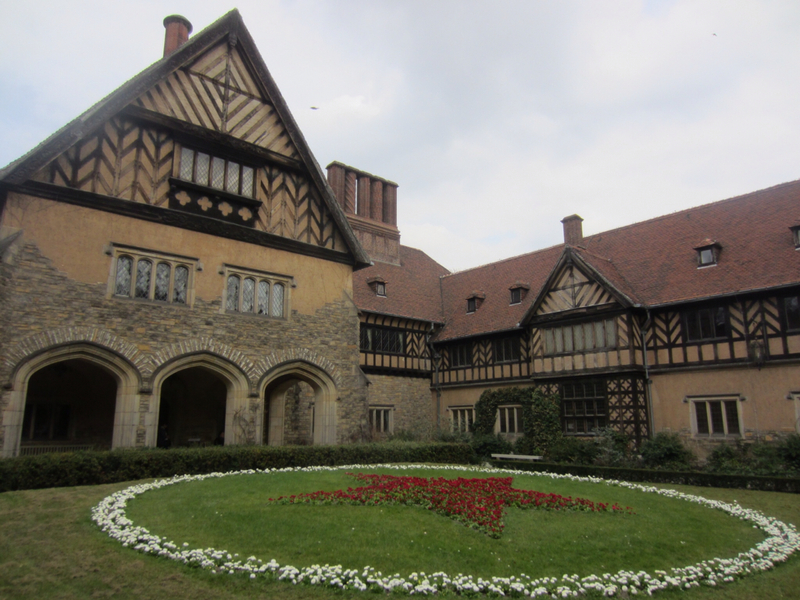 We were able to see Ausstieg Neues Palais, the Schloss Sanssouci, and the Schloss Cecilienhof in a matter of two hours. My favorite part was the Schlosss Cecilienhof because it was the site of the Potsdam Conference, and it was almost chilling to think of the leaders who convened in that spot. 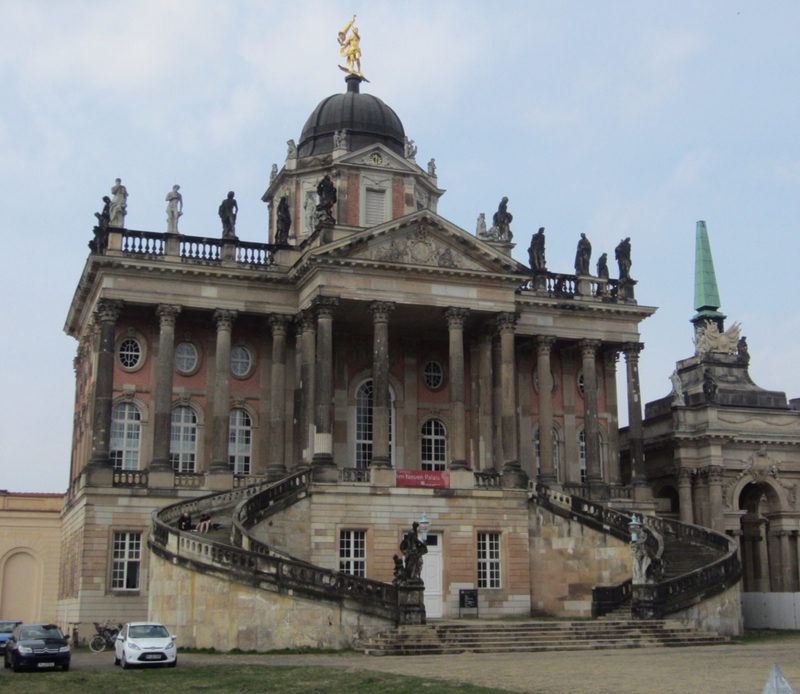 Rather than spend too much time in Potsdam, we decided to head back to Berlin to do more exploring. 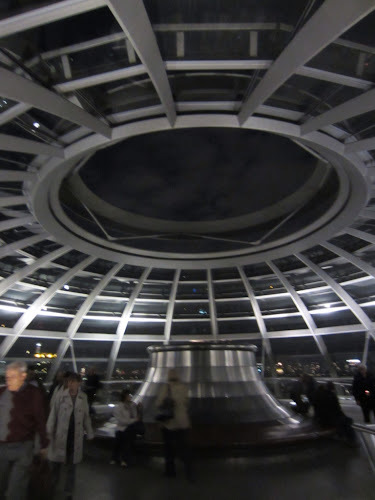 Angie toured the Berlin Dome while I laid on the lawn in front of it and relaxed for a bit. Next we headed to the German War Memorial and the Ritter Museum before going back for yet another run in the Tiergarten. Later that evening, after eating a delicious chicken doner box for dinner, we went on a tour of the Reichstadt dome. I missed out on this tour on my last visit, so I was so happy to get to see it this time. Berlin lit up at night was a gorgeous site, too. Thursday started with another run in the Tiergarten (see a trend here?) and a leisurely morning before we headed out to the Willy Brandt Museum, the Kennedys Museum, and to another giant highlight - our own private tour of the US Embassy! The lovely people I met during my last Berlin visit are wonderful. Adding to that wonder was that Janet had arranged our entry, and walked us through the whole building. We definitely felt pretty VIP. 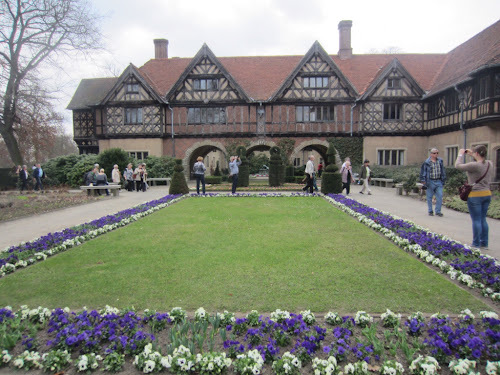 After that, we headed to the Ottoboch to get a bit of science learning in, and lastly we had dinner with Janet and Bill at a local German pub. 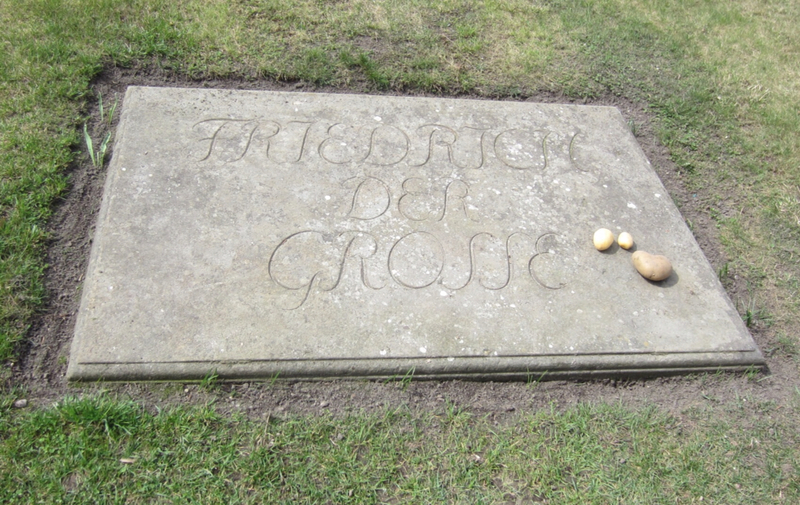 I am so glad I got to see Berlin for a second time. Not only was it so much warmer this time, I also felt like I was really able to understand more of what we saw. After visiting Normandy and doing all of the WWII research, the WWII areas had even more significance to me. We also got a much better understanding of the Cold War and the Berlin Wall, which was helped by learning about the politicians involved. Lastly, it is so cool to share the same interests as Angie and be able to construct our trip the way we are. Travel partner success!! !